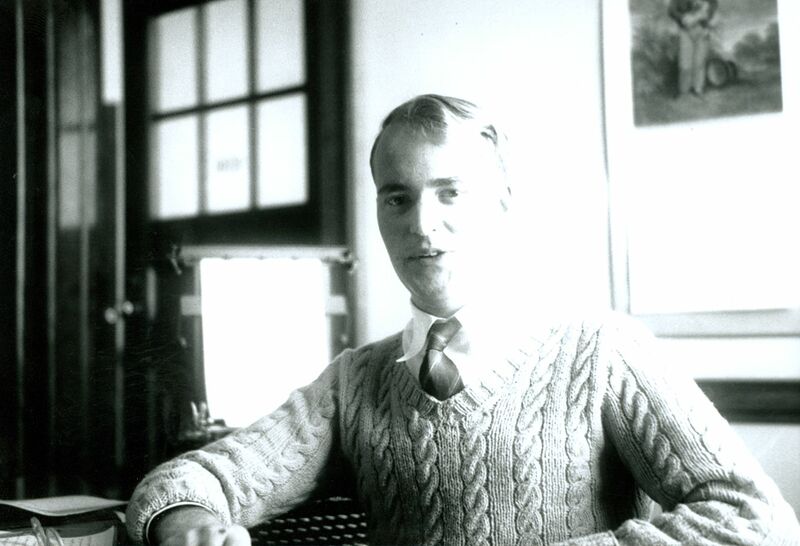 This may be J. Beverley Oke as a student, before he went to Princeton for his Ph.D., after which he came back to the staff of the Department of Astronomy. He left (1955?) to go to Cal Tech. He lives in Victoria now and if you were to ask him if it is he I am sure he would reply. His address is DAO, etc. A better photocopy of his face would have helped me perhaps. Photo by R. Northcott, Nov. 1950. Note by D.A. MacRae, 1998. Bev Oke says it is not him since he always wore glasses. I think it is Bill Hossack seen in another photo identified by D. MacRae.